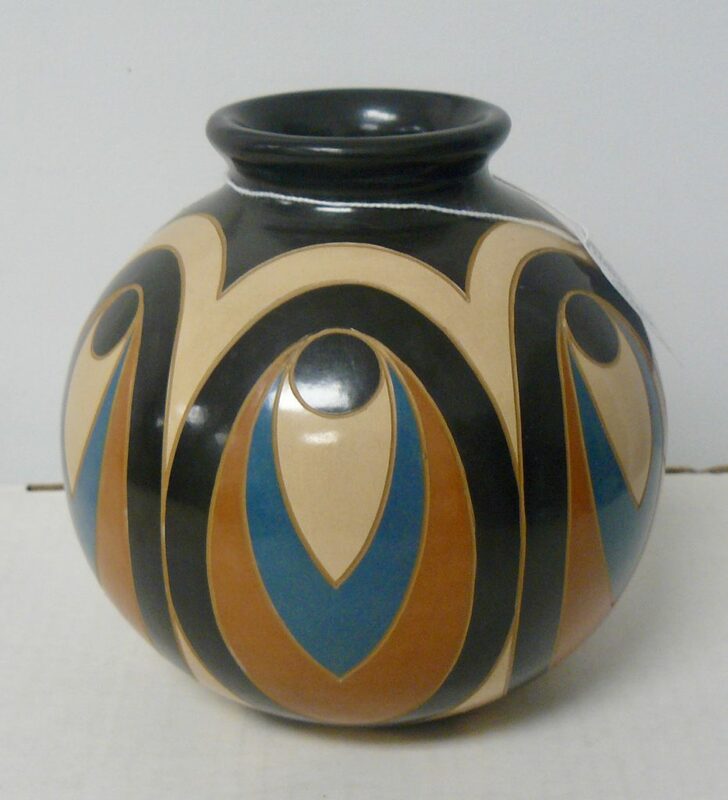 Mata Ortiz Pottery by Emanuel Maldonado (Nicaragua) $95.00 – Now 25% off! 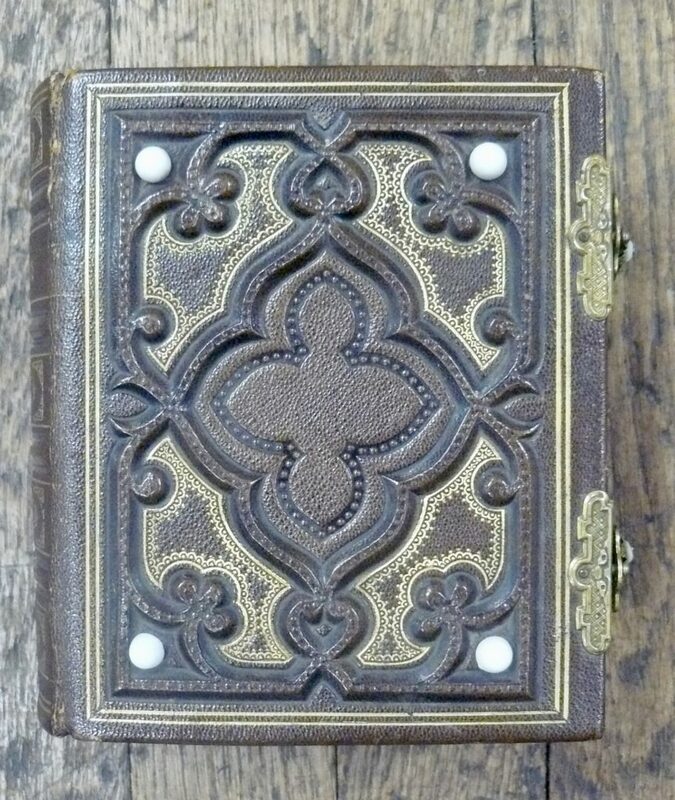 19th Century Album with Pictures! Beautiful Condition! From Booth 33ha, $100.00. 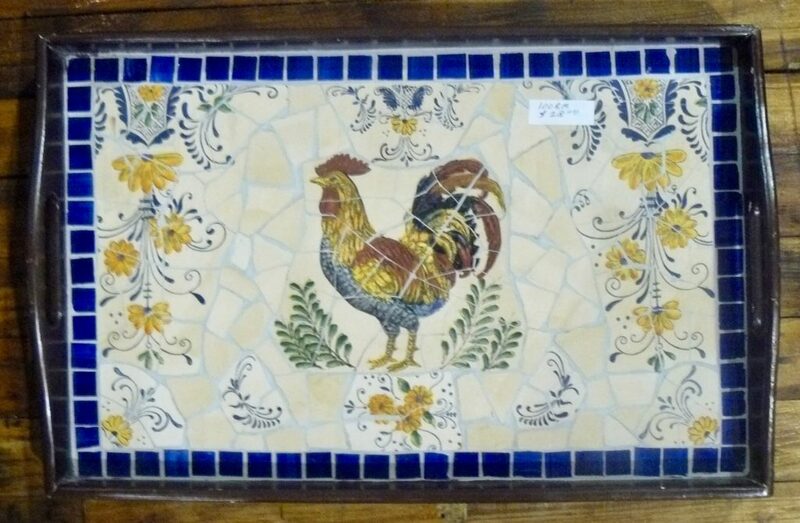 Broken Tile Rooster Tray – $28.00 – Bargain Alert!! Booth 100. 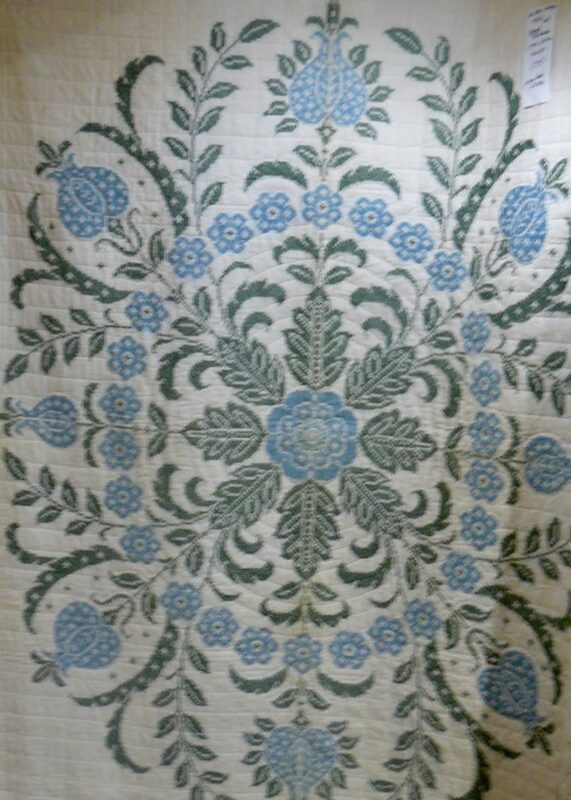 Fabulous Cross Stitched Quilt from Booth 320 – !930’s – Bargain Alert – $175.00. King Sized!! 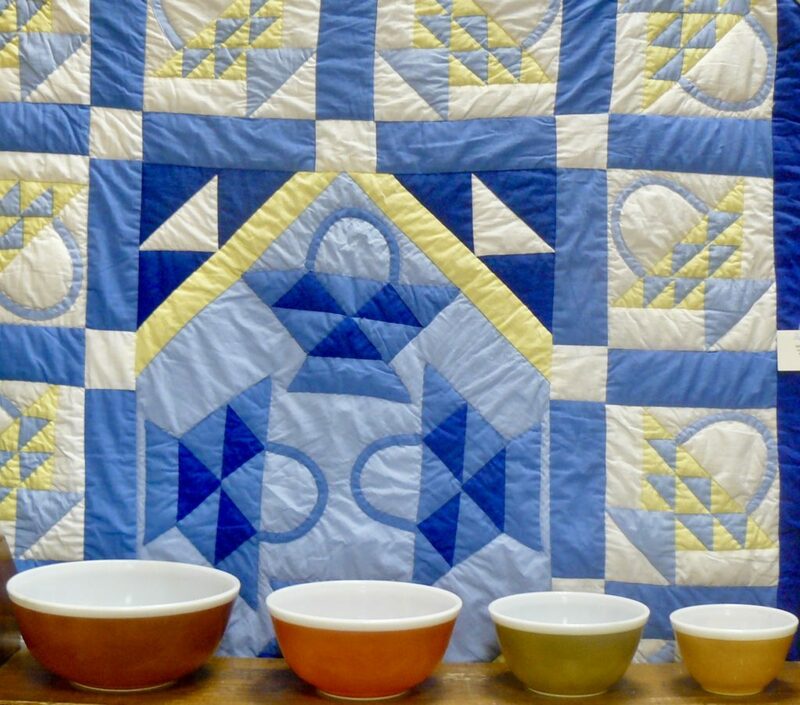 Unusual Pyrex Set of Four Mixing Bowls, $75.00 – Booth 150 – now 20% Off! 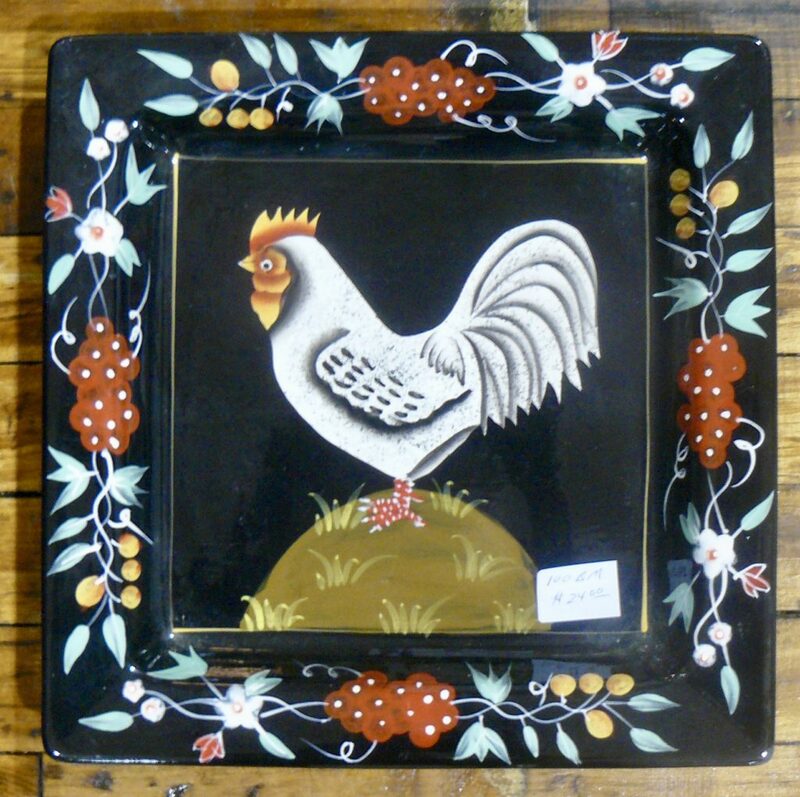 Rooster Dish – Booth 100 – $24.00. 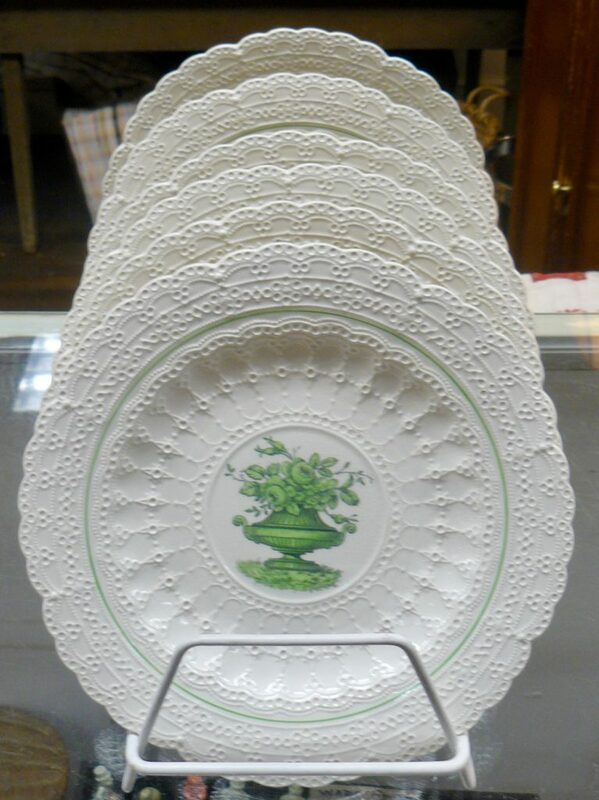 Spode Plates, Six Available – Booth 150, $20.00 Each. ‹ A 10 Gallon Crock w Lid, a 72 Piece Set of Limoges China and SALE Days – Coming UP!